Wizards at Hawks Game 3 Final: Hawks blow out Wizards 116-98. Paul Millsap leads the way for the Hawks with 29 points while Dennis Schroer wasn’t far behind with 27 as Atlanta gets a much-needed home win by blowing out the Wizards, 116-98. John Wall scored 29 points to go along with seven assists while no other Wizards player scored in double figures until the game was already out of hand. The Hawks came out on fire connecting on 8-11 of their field goals to take an early 17-4 lead and never looked back. This one was ugly early as the Hawks shot 65 percent from the field in the first quarter as Atlanta led by as many as 25 in the period. The highlight of the period and probably the game for the Wizards came when Wall took the ball from end to end for this behind the back dunk. The Wizards lazy and careless play carried over into the second quarter as they committed four turnovers just three minutes into the quarter. The combination of Schroder and Millsap was too much for Washington as the duo combined for 35 points in the half as the Hawks led, 64-46. Washington was able to get as close as 13 in the third period as Otto Porter connected on a three-pointer to bring Washington within striking distance. But Atlanta answered with a run of their own to stretch the lead to 90-67, entering the fourth quarter. The reserves played decently in garbage time and cut the lead to 12 at one point, but then Scott Brooks put the starters back in who blew the lead. Atlanta protects home court and blows out the Wizards, 116-98. 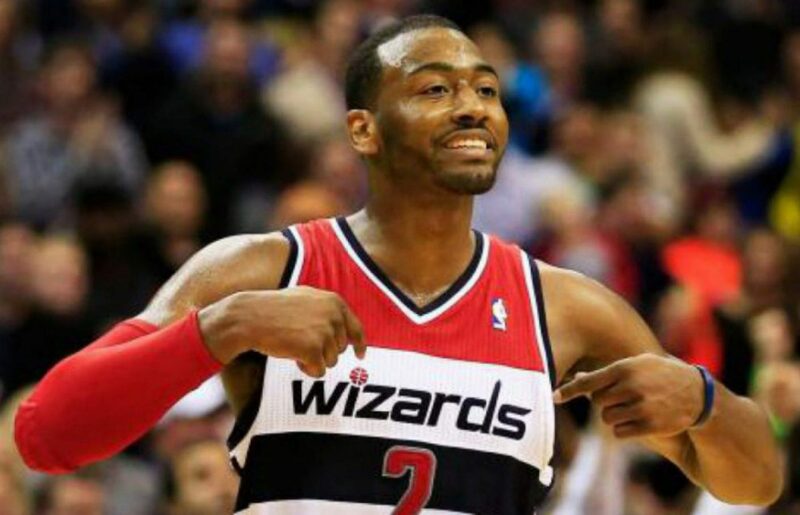 No one on Washington came ready to play tonight besides Wall who scored a game-high 29 points. This game would have been a lot uglier if it weren’t for Wall’s effort. Wall scored 14 of the Wizards’ 20 first quarter points and 21 of the team’s 46 first half points. The rest of the starters combined for just 30 points tonight. Jennings was the only player on the Wizards bench who played well while the game wasn’t completely out of hand. Jennings looks to have gotten his scoring back as he scored 13 points to go along with four assists. Bogdanovic and Oubre scored 11 and nine points respectively but most of those came in garbage time. The Wizards are going to need much more production from the bench if they are going to win game 4. It would have been nice if the Wizards showed a bit more effort but there’s no need to overreact here. The Hawks did what they were supposed to do in winning on their home court. The Wizards have a chance to bounce back on Monday night. Previous postThe Wizards protected home court, what to expect in Game 3. Next postWizards at Hawks Game 4: Washington can’t overcome Atlanta’s balanced attack. Lose, 111-101.